Here comes the second post of Fans Strategies! Theresa Power! This choice focuses on a damager (Llane), Theresa (damager/dps increase), Thera the healer and Liz the buffer. Llane is another jewel ignored many times by people. LLane recovers hp based on the amount of damage done and has insane single target DPS. Many might wonder what makes him so special which is his skills that hit so high that he could 1 hit targets easily. When that happens, the opponent's team's healer becomes close to useless.Llane's strength is the fact he can also gain up to 50% more damage from affinities alone, and deals a base damage of 292% with a bleed and also his seek and destroy ability that does 233% but does 50% more damage if target has over 50% hp. So far this seems like the best choice i have at level 43. Anything with a front row attack pattern takes a lot of shots at Freeman I, just for him to recover about 1/3 his hp with doppleganger / HP regen relic / two HP runes (R2&R3). My main using demon costume / HP regen relic / one HP rune (R2) comes out at about 1,000,000 BR, seems to compete fine into 1,100,000 BR. Natalie Theresa and Skoll running in back row with Theresa in the middle. Theresa is considerably more tanky than Skoll and Natalie. So she often survives middle row with no one in front of her when Skoll or Natalie would not. Theresa's ability seems to combo very well with Freeman I's, especially if any opponents are stunned. Hanging onto all three AoE effect ultimates makes heroic dungeon bosses a cakewalk usually. (1) A great team that focuses on the enemy front row with Theresa & Huxley. 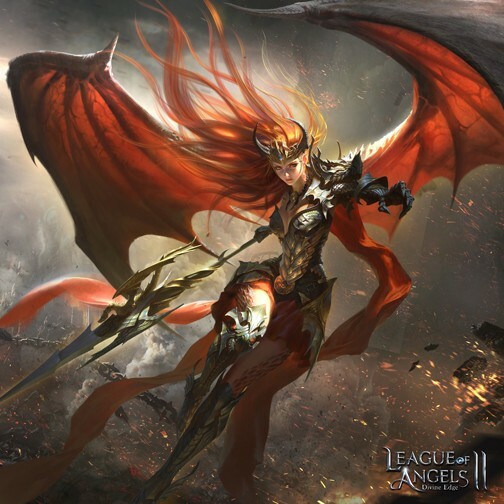 (2) A great balance of offence & defense including Liz & Thera that can potentially take you through all PvP & PvE combat. (1) Huxley + Theresa combo: Just like Theresa, Huxley's normal skill also deals DMG to the entire enemy front row. Thus, I feel they form a great team together and specialize in eleminating the enemy front row. Now, the question arises as to why I want Huxley teamed up with Theresa & not anyone else. Here's the deal. Like I mentioned above, Theresa built with Agility in the most effective. And, let's not forget, as long as Theresa is alive, Huxley will deal 15% more DMG. And, as we all know, Huxley will strike the 2 targets with the lowest Hp percentage and will execute them if their HP is below 20%. So, let Theresa initiate with her speed and Huxley will follow her up with his power & Theresa's boost. The 2 of them form one of the best DPS combo in the game currently. (2) Liz added to Huxley + Theresa: A Liz Ultimate boosts the ATK & DEF stat of the entire team by a certain percentage of her own stats and increases the team's RAGE. So, a agile Liz teamed up with Theresa & Hunxley to power them up, and fill up their RAGE meter and thus allowing them to use their Ultimates faster then the enemies. This ATK boost from Liz combines beautifully with the 15% DMG bonus from Theresa's presence and thereby taking the DMG dealt by Theresa & huxley to new heights.